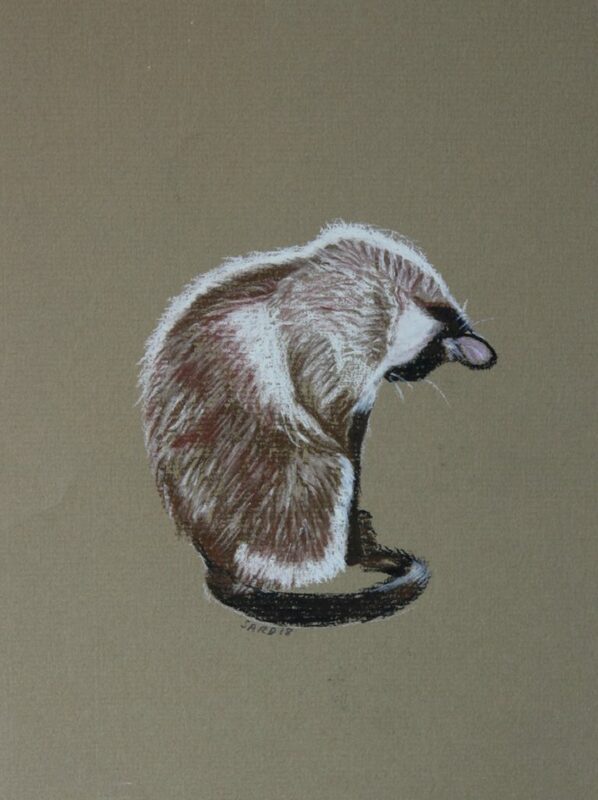 This is a very quick pastel sketch of a Siamese cat. It was licking its chest, or maybe simply looking down at its cute toes – I can’t remember which ! I absolutely love their beautiful colour, and their “points”…perhaps those Siamese owners out there could please tell me what the colour is technically called ?